I am a SAHM so I do most of the housework and that includes the laundry. When washing clothes I want them to be clean with a great scent left behind so I was excited to try the New Purex Plus OXI. It is the same packaging as the others that Purex carries but the look of the bottle was very nice. When I opened it and smelled it I loved it. This is how the bottle looks. Purex plus Oxi is the most powerful Purex detergent available. In fact, it works against over 101 different stains. The three stain-fighting enzymes in Purex plus Oxi each work against different types of stains for the most Purex stain-fighting power you can get. Purex plus Oxi, like all liquid Purex products, has been specially formulated to work in both high efficency washers and traditional washing machines. Because it's from Purex, you know it won't break the bank. Purex plus Oxi leaves your clothes Bright, White, and Clean and costs half the price of the leading brand! A powerful combination of detergent and stain fighters. 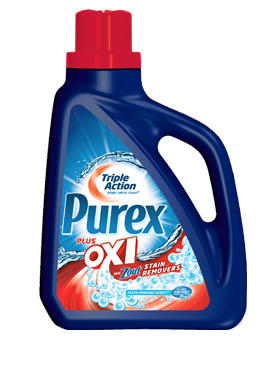 One lucky TTGG follower will win a coupon for a free bottle of Purex plua Oxi. 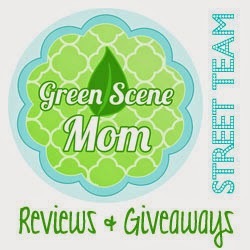 Purex provided me with a sample of Purex plus Oxi so I could review them. However, all of the opinions expressed here are my own. I really like the Purex Ultrapacks! I like the Purex Crystals, they smell wonderful! I like the Purex Ultra Packs. I LOVE the ultra packs! I love the Purex Crystals! !